Fully vitrified porcelain 30cm / 12" Conforms to BS4034:1990 specification Sold in multiples of 2 pieces Ideal for Restaurants and Hotels Dishwasher, Freezer, Microwave and Oven safe Product guidance and care: The use of non-abrasive materials such as rubber or plastic utensils is recommended when removing excess food as metal utensils may cause lasting damage to glazed surfaces. Furthermore, it is not advised that you wash porcelain items with metal items (such as cutlery) in the dishwasher. 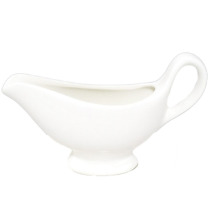 Our porcelain items are Dishwasher, Freezer, Microwave and Oven safe with a high resistance to chipping. What's more, although our Orion products are designed to withstand many pressures, please avoid where possible, sudden temperature changes (e.g. oven to freezer) as thermal shock may occur. 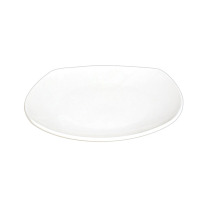 Fully vitrified porcelain 28cm / 11" Conforms to BS4034:1990 specification Sold in multiples of 3 pieces Ideal for Restaurants and Hotels Dishwasher, Freezer, Microwave and Oven safe Product guidance and care: The use of non-abrasive materials such as rubber or plastic utensils is recommended when removing excess food as metal utensils may cause lasting damage to glazed surfaces. Furthermore, it is not advised that you wash porcelain items with metal items (such as cutlery) in the dishwasher. 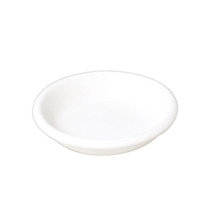 Our porcelain items are Dishwasher, Freezer, Microwave and Oven safe with a high resistance to chipping. What's more, although our Orion products are designed to withstand many pressures, please avoid where possible, sudden temperature changes (e.g. oven to freezer) as thermal shock may occur. Fully vitrified porcelain 26cm / 10" Conforms to BS4034:1990 specification Sold in multiples of 3 pieces Ideal for Restaurants and Hotels Dishwasher, Freezer, Microwave and Oven safe Product guidance and care: The use of non-abrasive materials such as rubber or plastic utensils is recommended when removing excess food as metal utensils may cause lasting damage to glazed surfaces. Furthermore, it is not advised that you wash porcelain items with metal items (such as cutlery) in the dishwasher. 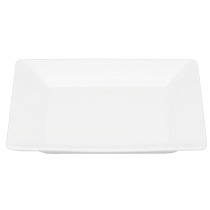 Our porcelain items are Dishwasher, Freezer, Microwave and Oven safe with a high resistance to chipping. What's more, although our Orion products are designed to withstand many pressures, please avoid where possible, sudden temperature changes (e.g. oven to freezer) as thermal shock may occur. Fully vitrified porcelain 23cm / 9" Conforms to BS4034:1990 specification Sold in multiples of 4 pieces Ideal for Restaurants and Hotels Dishwasher, Freezer, Microwave and Oven safe Product guidance and care: The use of non-abrasive materials such as rubber or plastic utensils is recommended when removing excess food as metal utensils may cause lasting damage to glazed surfaces. Furthermore, it is not advised that you wash porcelain items with metal items (such as cutlery) in the dishwasher. 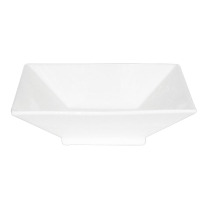 Our porcelain items are Dishwasher, Freezer, Microwave and Oven safe with a high resistance to chipping. What's more, although our Orion products are designed to withstand many pressures, please avoid where possible, sudden temperature changes (e.g. oven to freezer) as thermal shock may occur. Fully vitrified porcelain 20cm / 8" Conforms to BS4034:1990 specification Sold in multiples of 6 pieces Ideal for Restaurants and Hotels Dishwasher, Freezer, Microwave and Oven safe Product guidance and care: The use of non-abrasive materials such as rubber or plastic utensils is recommended when removing excess food as metal utensils may cause lasting damage to glazed surfaces. Furthermore, it is not advised that you wash porcelain items with metal items (such as cutlery) in the dishwasher. 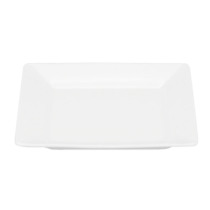 Our porcelain items are Dishwasher, Freezer, Microwave and Oven safe with a high resistance to chipping. What's more, although our Orion products are designed to withstand many pressures, please avoid where possible, sudden temperature changes (e.g. oven to freezer) as thermal shock may occur. Fully vitrified porcelain 17.5cm / 7" Conforms to BS4034:1990 specification Sold in multiples of 6 pieces Ideal for Restaurants and Hotels Dishwasher, Freezer, Microwave and Oven safe Product guidance and care: The use of non-abrasive materials such as rubber or plastic utensils is recommended when removing excess food as metal utensils may cause lasting damage to glazed surfaces. Furthermore, it is not advised that you wash porcelain items with metal items (such as cutlery) in the dishwasher. 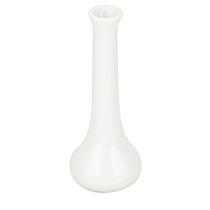 Our porcelain items are Dishwasher, Freezer, Microwave and Oven safe with a high resistance to chipping. What's more, although our Orion products are designed to withstand many pressures, please avoid where possible, sudden temperature changes (e.g. oven to freezer) as thermal shock may occur. Fully vitrified porcelain 15cm / 6" Conforms to BS4034:1990 specification Sold in multiples of 12 pieces Ideal for Restaurants and Hotels Dishwasher, Freezer, Microwave and Oven safe Product guidance and care: The use of non-abrasive materials such as rubber or plastic utensils is recommended when removing excess food as metal utensils may cause lasting damage to glazed surfaces. Furthermore, it is not advised that you wash porcelain items with metal items (such as cutlery) in the dishwasher. 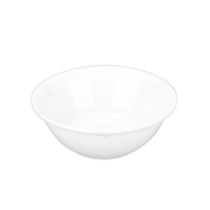 Our porcelain items are Dishwasher, Freezer, Microwave and Oven safe with a high resistance to chipping. What's more, although our Orion products are designed to withstand many pressures, please avoid where possible, sudden temperature changes (e.g. oven to freezer) as thermal shock may occur. Fully vitrified porcelain 30cm / 12" Conforms to BS4034:1990 specification Multiples of 3 pieces Ideal for Restaurants and Hotels Dishwasher, Freezer, Microwave and Oven safe Product guidance and care: The use of non-abrasive materials such as rubber or plastic utensils is recommended when removing excess food as metal utensils may cause lasting damage to glazed surfaces. Furthermore, it is not advised that you wash porcelain items with metal items (such as cutlery) in the dishwasher. 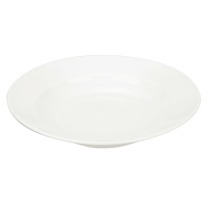 Our porcelain items are Dishwasher, Freezer, Microwave and Oven safe with a high resistance to chipping. What's more, although our Orion products are designed to withstand many pressures, please avoid where possible, sudden temperature changes (e.g. oven to freezer) as thermal shock may occur. 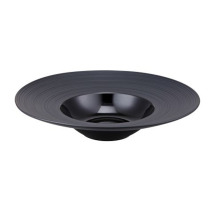 Fully vitrified porcelain 30cm / 12" Alternative to C88016 Conforms to BS4034:1990 specification Sold in packs of 2 Ideal for Restaurants and Hotels Dishwasher, Freezer, Microwave and Oven safe Product guidance and care: The use of non-abrasive materials such as rubber or plastic utensils is recommended when removing excess food as metal utensils may cause lasting damage to glazed surfaces. Furthermore, it is not advised that you wash porcelain items with metal items (such as cutlery) in the dishwasher. 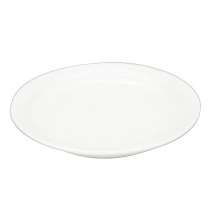 Our porcelain items are Dishwasher, Freezer, Microwave and Oven safe with a high resistance to chipping. What's more, although our Orion products are designed to withstand many pressures, please avoid where possible, sudden temperature changes (e.g. oven to freezer) as thermal shock may occur. Fully vitrified porcelain 20cm / 8" Alternative to C88016 Conforms to BS4034:1990 specification Sold in packs of 4 Ideal for Restaurants and Hotels Dishwasher, Freezer, Microwave and Oven safe Product guidance and care: The use of non-abrasive materials such as rubber or plastic utensils is recommended when removing excess food as metal utensils may cause lasting damage to glazed surfaces. Furthermore, it is not advised that you wash porcelain items with metal items (such as cutlery) in the dishwasher. 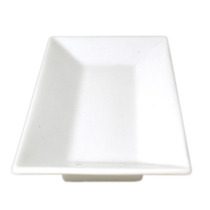 Our porcelain items are Dishwasher, Freezer, Microwave and Oven safe with a high resistance to chipping. What's more, although our Orion products are designed to withstand many pressures, please avoid where possible, sudden temperature changes (e.g. oven to freezer) as thermal shock may occur. 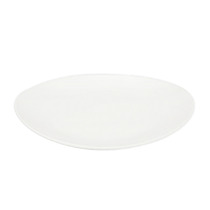 Fully vitrified porcelain 26cm / 10" Conforms to BS4034:1990 specification Multiples of 3 pieces Ideal for Restaurants and Hotels Dishwasher, Freezer, Microwave and Oven safe Product guidance and care: The use of non-abrasive materials such as rubber or plastic utensils is recommended when removing excess food as metal utensils may cause lasting damage to glazed surfaces. Furthermore, it is not advised that you wash porcelain items with metal items (such as cutlery) in the dishwasher. 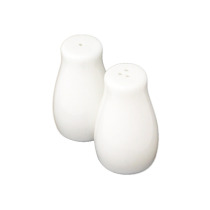 Our porcelain items are Dishwasher, Freezer, Microwave and Oven safe with a high resistance to chipping. What's more, although our Orion products are designed to withstand many pressures, please avoid where possible, sudden temperature changes (e.g. oven to freezer) as thermal shock may occur. Fully vitrified porcelain 23cm / 9" Conforms to BS4034:1990 specification Multiples of 3 pieces Ideal for Restaurants and Hotels Dishwasher, Freezer, Microwave and Oven safe Product guidance and care: The use of non-abrasive materials such as rubber or plastic utensils is recommended when removing excess food as metal utensils may cause lasting damage to glazed surfaces. Furthermore, it is not advised that you wash porcelain items with metal items (such as cutlery) in the dishwasher. Our porcelain items are Dishwasher, Freezer, Microwave and Oven safe with a high resistance to chipping. What's more, although our Orion products are designed to withstand many pressures, please avoid where possible, sudden temperature changes (e.g. oven to freezer) as thermal shock may occur. Fully vitrified porcelain Conforms to BS4034:1990 specification Diameter: 18cm / 7" Sold in multiples of 5 pieces Ideal for Restaurants and Hotels High resistance to chipping/crazing and water absorption Dishwasher, Freezer, Microwave and Oven safe Product guidance and care: Our range of porcelain tableware is elegant and beautifully designed, which is luxurious but practical. Ideal for Restaurants and Hotels, it's fully vitrified to meet British Standard (BS4034:1990) to ensure they are Dishwasher, Freezer, Microwave and Oven safe with a high resistance to chipping/crazing and water absorption. However, although our Orion products are designed to withstand many pressures, please avoid where possible, sudden temperature changes (e.g. oven to freezer) as thermal shock may occur. The use of non-abrasive materials such as rubber or plastic utensils is recommended when removing excess food as metal utensils may cause lasting damage to glazed surfaces. Furthermore, it is not advised that you wash porcelain items with metal items (such as cutlery) in the dishwasher. Fully vitrified porcelain Conforms to BS4034:1990 specification Diameter: 16cm / 6½" Sold in multiples of 6 pieces Ideal for Restaurants and Hotels High resistance to chipping/crazing and water absorption Dishwasher, Freezer, Microwave and Oven safe Product guidance and care: Our range of porcelain tableware is elegant and beautifully designed, which is luxurious but practical. Ideal for Restaurants and Hotels, it's fully vitrified to meet British Standard (BS4034:1990) to ensure they are Dishwasher, Freezer, Microwave and Oven safe with a high resistance to chipping/crazing and water absorption. However, although our Orion products are designed to withstand many pressures, please avoid where possible, sudden temperature changes (e.g. oven to freezer) as thermal shock may occur. The use of non-abrasive materials such as rubber or plastic utensils is recommended when removing excess food as metal utensils may cause lasting damage to glazed surfaces. Furthermore, it is not advised that you wash porcelain items with metal items (such as cutlery) in the dishwasher. 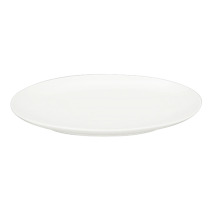 Fully vitrified porcelain 30cm / 12" Conforms to BS4034:1990 specification Multiples of 2 pieces Ideal for Restaurants and Hotels Dishwasher, Freezer, Microwave and Oven safe Product guidance and care: The use of non-abrasive materials such as rubber or plastic utensils is recommended when removing excess food as metal utensils may cause lasting damage to glazed surfaces. Furthermore, it is not advised that you wash porcelain items with metal items (such as cutlery) in the dishwasher. Our porcelain items are Dishwasher, Freezer, Microwave and Oven safe with a high resistance to chipping. What's more, although our Orion products are designed to withstand many pressures, please avoid where possible, sudden temperature changes (e.g. oven to freezer) as thermal shock may occur. 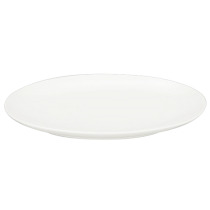 Fully vitrified porcelain 25cm / 10" Conforms to BS4034:1990 specification Multiples of 2 pieces Ideal for Restaurants and Hotels Dishwasher, Freezer, Microwave and Oven safe Product guidance and care: The use of non-abrasive materials such as rubber or plastic utensils is recommended when removing excess food as metal utensils may cause lasting damage to glazed surfaces. Furthermore, it is not advised that you wash porcelain items with metal items (such as cutlery) in the dishwasher. 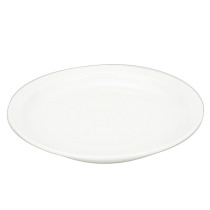 Our porcelain items are Dishwasher, Freezer, Microwave and Oven safe with a high resistance to chipping. What's more, although our Orion products are designed to withstand many pressures, please avoid where possible, sudden temperature changes (e.g. oven to freezer) as thermal shock may occur. Fully vitrified porcelain 20cm / 8" Conforms to BS4034:1990 specification Multiples of 6 pieces Ideal for Restaurants and Hotels Dishwasher, Freezer, Microwave and Oven safe Product guidance and care: The use of non-abrasive materials such as rubber or plastic utensils is recommended when removing excess food as metal utensils may cause lasting damage to glazed surfaces. Furthermore, it is not advised that you wash porcelain items with metal items (such as cutlery) in the dishwasher. 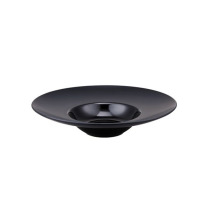 Our porcelain items are Dishwasher, Freezer, Microwave and Oven safe with a high resistance to chipping. What's more, although our Orion products are designed to withstand many pressures, please avoid where possible, sudden temperature changes (e.g. oven to freezer) as thermal shock may occur. 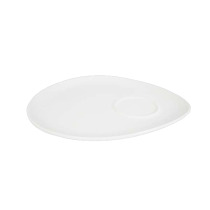 Fully vitrified porcelain 15cm / 6" Conforms to BS4034:1990 specification Multiples of 6 pieces Ideal for Restaurants and Hotels Dishwasher, Freezer, Microwave and Oven safe Product guidance and care: The use of non-abrasive materials such as rubber or plastic utensils is recommended when removing excess food as metal utensils may cause lasting damage to glazed surfaces. Furthermore, it is not advised that you wash porcelain items with metal items (such as cutlery) in the dishwasher. 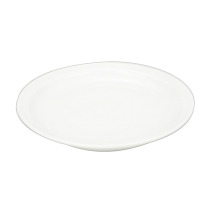 Our porcelain items are Dishwasher, Freezer, Microwave and Oven safe with a high resistance to chipping. What's more, although our Orion products are designed to withstand many pressures, please avoid where possible, sudden temperature changes (e.g. oven to freezer) as thermal shock may occur. Fully vitrified porcelain 30 x 15cm / 12 x 6" Conforms to BS4034:1990 specification Sold in multiples of 4 pieces Ideal for Restaurants and Hotels Dishwasher, Freezer, Microwave and Oven safe Product guidance and care: The use of non-abrasive materials such as rubber or plastic utensils is recommended when removing excess food as metal utensils may cause lasting damage to glazed surfaces. Furthermore, it is not advised that you wash porcelain items with metal items (such as cutlery) in the dishwasher. 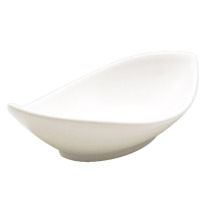 Our porcelain items are Dishwasher, Freezer, Microwave and Oven safe with a high resistance to chipping. What's more, although our Orion products are designed to withstand many pressures, please avoid where possible, sudden temperature changes (e.g. oven to freezer) as thermal shock may occur. Fully vitrified porcelain 25 x 14cm / 10 x 5" Conforms to BS4034:1990 specification Sold in multiples of 4 pieces Ideal for Restaurants and Hotels Dishwasher, Freezer, Microwave and Oven safe Product guidance and care: The use of non-abrasive materials such as rubber or plastic utensils is recommended when removing excess food as metal utensils may cause lasting damage to glazed surfaces. Furthermore, it is not advised that you wash porcelain items with metal items (such as cutlery) in the dishwasher. 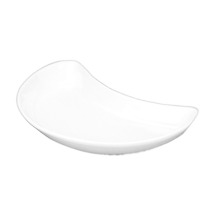 Our porcelain items are Dishwasher, Freezer, Microwave and Oven safe with a high resistance to chipping. What's more, although our Orion products are designed to withstand many pressures, please avoid where possible, sudden temperature changes (e.g. oven to freezer) as thermal shock may occur. 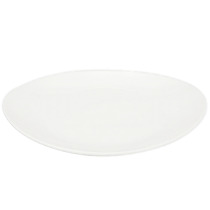 Fully vitrified porcelain 27cm / 10½" Conforms to BS4034:1990 specification Multiples of 3 pieces Ideal for Restaurants and Hotels Dishwasher, Freezer, Microwave and Oven safe Product guidance and care: The use of non-abrasive materials such as rubber or plastic utensils is recommended when removing excess food as metal utensils may cause lasting damage to glazed surfaces. Furthermore, it is not advised that you wash porcelain items with metal items (such as cutlery) in the dishwasher. 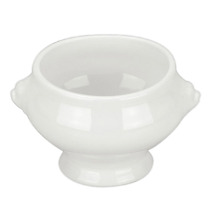 Our porcelain items are Dishwasher, Freezer, Microwave and Oven safe with a high resistance to chipping. What's more, although our Orion products are designed to withstand many pressures, please avoid where possible, sudden temperature changes (e.g. oven to freezer) as thermal shock may occur. Fully vitrified porcelain 40cm / 16" Conforms to BS4034:1990 specification Sold in multiples of 2 pieces Ideal for Restaurants and Hotels Dishwasher, Freezer, Microwave and Oven safe Product guidance and care: The use of non-abrasive materials such as rubber or plastic utensils is recommended when removing excess food as metal utensils may cause lasting damage to glazed surfaces. Furthermore, it is not advised that you wash porcelain items with metal items (such as cutlery) in the dishwasher. 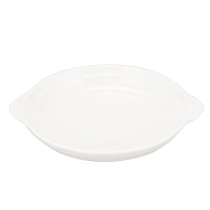 Our porcelain items are Dishwasher, Freezer, Microwave and Oven safe with a high resistance to chipping. What's more, although our Orion products are designed to withstand many pressures, please avoid where possible, sudden temperature changes (e.g. oven to freezer) as thermal shock may occur. Fully vitrified porcelain 35cm / 14" Conforms to BS4034:1990 specification Sold in multiples of 2 pieces Ideal for Restaurants and Hotels Dishwasher, Freezer, Microwave and Oven safe Product guidance and care: The use of non-abrasive materials such as rubber or plastic utensils is recommended when removing excess food as metal utensils may cause lasting damage to glazed surfaces. Furthermore, it is not advised that you wash porcelain items with metal items (such as cutlery) in the dishwasher. 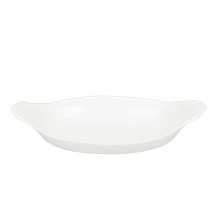 Our porcelain items are Dishwasher, Freezer, Microwave and Oven safe with a high resistance to chipping. What's more, although our Orion products are designed to withstand many pressures, please avoid where possible, sudden temperature changes (e.g. oven to freezer) as thermal shock may occur. Fully vitrified porcelain 31cm / 12" Conforms to BS4034:1990 specification Sold in multiples of 2 pieces Ideal for Restaurants and Hotels Dishwasher, Freezer, Microwave and Oven safe Product guidance and care: The use of non-abrasive materials such as rubber or plastic utensils is recommended when removing excess food as metal utensils may cause lasting damage to glazed surfaces. Furthermore, it is not advised that you wash porcelain items with metal items (such as cutlery) in the dishwasher. 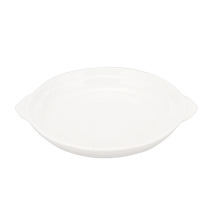 Our porcelain items are Dishwasher, Freezer, Microwave and Oven safe with a high resistance to chipping. What's more, although our Orion products are designed to withstand many pressures, please avoid where possible, sudden temperature changes (e.g. oven to freezer) as thermal shock may occur. Fully vitrified porcelain 25cm / 10" Conforms to BS4034:1990 specification Sold in multiples of 6 pieces Ideal for Restaurants and Hotels Dishwasher, Freezer, Microwave and Oven safe Product guidance and care: Our range of porcelain tableware is elegant and beautifully designed, which is luxurious but practical. Ideal for Restaurants and Hotels, it's fully vitrified to meet British Standards (BS4034:1990) to ensure they are Dishwasher, Freezer, Microwave and Oven safe with a high resistance to chipping, crazing and water absorption. However, although our Orion products are designed to withstand many pressures, please avoid where possible, sudden temperature changes (e.g. oven to freezer) as thermal shock may occur. The use of non-abrasive materials such as rubber or plastic utensils is recommended when removing excess food as metal utensils may cause lasting damage to glazed surfaces. Furthermore, it is not advised that you wash porcelain items with metal items (such as cutlery) in the dishwasher. 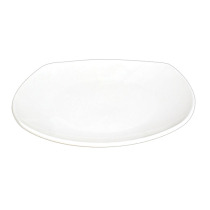 Fully vitrified porcelain 36 x 21cm / 14 x 8" Conforms to BS4034:1990 specification Ideal for Restaurants and Hotels Dishwasher, Freezer, Microwave and Oven safe Product guidance and care: The use of non-abrasive materials such as rubber or plastic utensils is recommended when removing excess food as metal utensils may cause lasting damage to glazed surfaces. Furthermore, it is not advised that you wash porcelain items with metal items (such as cutlery) in the dishwasher. 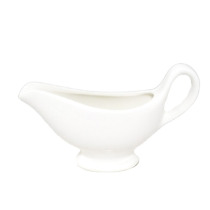 Our porcelain items are Dishwasher, Freezer, Microwave and Oven safe with a high resistance to chipping. What's more, although our Orion products are designed to withstand many pressures, please avoid where possible, sudden temperature changes (e.g. oven to freezer) as thermal shock may occur. 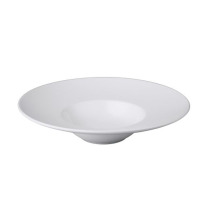 Fully vitrified porcelain 22.5cm / 8½" Conforms to BS4034:1990 specification Multiples of 4 pieces Ideal for Restaurants and Hotels Dishwasher, Freezer, Microwave and Oven safe Product guidance and care: The use of non-abrasive materials such as rubber or plastic utensils is recommended when removing excess food as metal utensils may cause lasting damage to glazed surfaces. Furthermore, it is not advised that you wash porcelain items with metal items (such as cutlery) in the dishwasher. 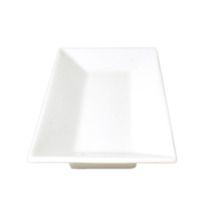 Our porcelain items are Dishwasher, Freezer, Microwave and Oven safe with a high resistance to chipping. What's more, although our Orion products are designed to withstand many pressures, please avoid where possible, sudden temperature changes (e.g. oven to freezer) as thermal shock may occur. Fully vitrified porcelain 13cm / 5" Conforms to BS4034:1990 specification Sold in multiples of 4 pieces Ideal for Restaurants and Hotels Dishwasher, Freezer, Microwave and Oven safe Product guidance and care: The use of non-abrasive materials such as rubber or plastic utensils is recommended when removing excess food as metal utensils may cause lasting damage to glazed surfaces. Furthermore, it is not advised that you wash porcelain items with metal items (such as cutlery) in the dishwasher. 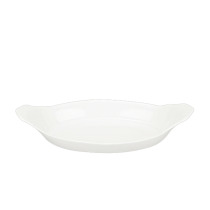 Our porcelain items are Dishwasher, Freezer, Microwave and Oven safe with a high resistance to chipping. What's more, although our Orion products are designed to withstand many pressures, please avoid where possible, sudden temperature changes (e.g. oven to freezer) as thermal shock may occur. Fully vitrified porcelain 16cm / 6½" Conforms to BS4034:1990 specification Sold in multiples of 6 pieces Ideal for Restaurants and Hotels Dishwasher, Freezer, Microwave and Oven safe Product guidance and care: The use of non-abrasive materials such as rubber or plastic utensils is recommended when removing excess food as metal utensils may cause lasting damage to glazed surfaces. Furthermore, it is not advised that you wash porcelain items with metal items (such as cutlery) in the dishwasher. 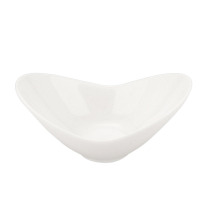 Our porcelain items are Dishwasher, Freezer, Microwave and Oven safe with a high resistance to chipping. What's more, although our Orion products are designed to withstand many pressures, please avoid where possible, sudden temperature changes (e.g. oven to freezer) as thermal shock may occur. Fully vitrified porcelain 19.5cm / 8" Conforms to BS4034:1990 specification Sold in multiples of 4 pieces Ideal for Restaurants and Hotels Dishwasher, Freezer, Microwave and Oven safe Product guidance and care: The use of non-abrasive materials such as rubber or plastic utensils is recommended when removing excess food as metal utensils may cause lasting damage to glazed surfaces. Furthermore, it is not advised that you wash porcelain items with metal items (such as cutlery) in the dishwasher. 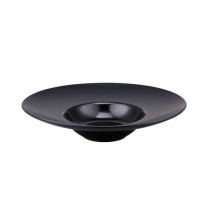 Our porcelain items are Dishwasher, Freezer, Microwave and Oven safe with a high resistance to chipping. What's more, although our Orion products are designed to withstand many pressures, please avoid where possible, sudden temperature changes (e.g. oven to freezer) as thermal shock may occur. Fully vitrified porcelain Capacity: 430ml / 15oz Conforms to BS4034:1990 specification Sold in multiples of 2 pieces Ideal for Restaurants and Hotels Dishwasher, Freezer, Microwave and Oven safe Product guidance and care: The use of non-abrasive materials such as rubber or plastic utensils is recommended when removing excess food as metal utensils may cause lasting damage to glazed surfaces. Furthermore, it is not advised that you wash porcelain items with metal items (such as cutlery) in the dishwasher. 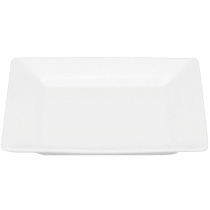 Our porcelain items are Dishwasher, Freezer, Microwave and Oven safe with a high resistance to chipping. What's more, although our Orion products are designed to withstand many pressures, please avoid where possible, sudden temperature changes (e.g. oven to freezer) as thermal shock may occur. Fully vitrified porcelain 20cm / 8" Conforms to BS4034:1990 specification Sold in multiples of 3 pieces Ideal for Restaurants and Hotels Dishwasher, Freezer, Microwave and Oven safe Product guidance and care: The use of non-abrasive materials such as rubber or plastic utensils is recommended when removing excess food as metal utensils may cause lasting damage to glazed surfaces. Furthermore, it is not advised that you wash porcelain items with metal items (such as cutlery) in the dishwasher. 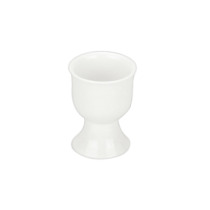 Our porcelain items are Dishwasher, Freezer, Microwave and Oven safe with a high resistance to chipping. What's more, although our Orion products are designed to withstand many pressures, please avoid where possible, sudden temperature changes (e.g. oven to freezer) as thermal shock may occur. Fully vitrified porcelain 18cm / 7" Conforms to BS4034:1990 specification Sold in multiples of 4 pieces Ideal for Restaurants and Hotels Dishwasher, Freezer, Microwave and Oven safe Product guidance and care: The use of non-abrasive materials such as rubber or plastic utensils is recommended when removing excess food as metal utensils may cause lasting damage to glazed surfaces. Furthermore, it is not advised that you wash porcelain items with metal items (such as cutlery) in the dishwasher. 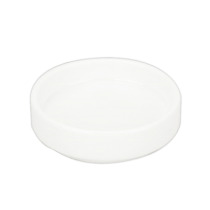 Our porcelain items are Dishwasher, Freezer, Microwave and Oven safe with a high resistance to chipping. What's more, although our Orion products are designed to withstand many pressures, please avoid where possible, sudden temperature changes (e.g. oven to freezer) as thermal shock may occur. 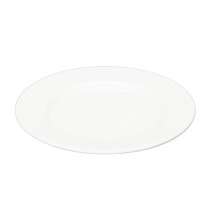 Fully vitrified porcelain 25.5cm / 10" Conforms to BS4034:1990 specification Sold in multiples of 6 pieces Ideal for Restaurants and Hotels Dishwasher, Freezer, Microwave and Oven safe Product guidance and care: The use of non-abrasive materials such as rubber or plastic utensils is recommended when removing excess food as metal utensils may cause lasting damage to glazed surfaces. Furthermore, it is not advised that you wash porcelain items with metal items (such as cutlery) in the dishwasher. 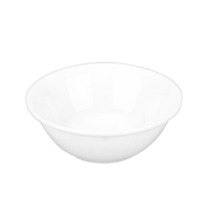 Our porcelain items are Dishwasher, Freezer, Microwave and Oven safe with a high resistance to chipping. What's more, although our Orion products are designed to withstand many pressures, please avoid where possible, sudden temperature changes (e.g. oven to freezer) as thermal shock may occur. Fully vitrified porcelain 22.5cm / 9" Conforms to BS4034:1990 specification Sold in multiples of 6 pieces Ideal for Restaurants and Hotels Dishwasher, Freezer, Microwave and Oven safe Product guidance and care: The use of non-abrasive materials such as rubber or plastic utensils is recommended when removing excess food as metal utensils may cause lasting damage to glazed surfaces. Furthermore, it is not advised that you wash porcelain items with metal items (such as cutlery) in the dishwasher. 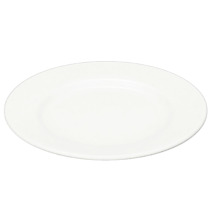 Our porcelain items are Dishwasher, Freezer, Microwave and Oven safe with a high resistance to chipping. What's more, although our Orion products are designed to withstand many pressures, please avoid where possible, sudden temperature changes (e.g. oven to freezer) as thermal shock may occur. 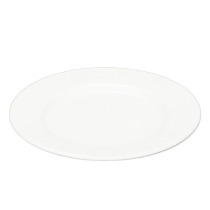 Fully vitrified porcelain 17cm / 6½" Conforms to BS4034:1990 specification Sold in multiples of 8 pieces Ideal for Restaurants and Hotels Dishwasher, Freezer, Microwave and Oven safe Product guidance and care: The use of non-abrasive materials such as rubber or plastic utensils is recommended when removing excess food as metal utensils may cause lasting damage to glazed surfaces. Furthermore, it is not advised that you wash porcelain items with metal items (such as cutlery) in the dishwasher. 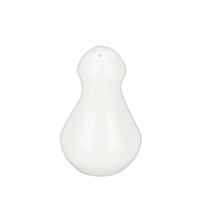 Our porcelain items are Dishwasher, Freezer, Microwave and Oven safe with a high resistance to chipping. What's more, although our Orion products are designed to withstand many pressures, please avoid where possible, sudden temperature changes (e.g. oven to freezer) as thermal shock may occur. Fully vitrified porcelain 15cm / 6" Conforms to BS4034:1990 specification Sold in multiples of 6 pieces Ideal for Restaurants and Hotels Dishwasher, Freezer, Microwave and Oven safe Product guidance and care: The use of non-abrasive materials such as rubber or plastic utensils is recommended when removing excess food as metal utensils may cause lasting damage to glazed surfaces. Furthermore, it is not advised that you wash porcelain items with metal items (such as cutlery) in the dishwasher. 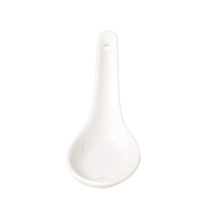 Our porcelain items are Dishwasher, Freezer, Microwave and Oven safe with a high resistance to chipping. What's more, although our Orion products are designed to withstand many pressures, please avoid where possible, sudden temperature changes (e.g. oven to freezer) as thermal shock may occur. Fully vitrified porcelain Capacity: 260ml Conforms to BS4034:1990 specification Sold in multiples of 6 pieces Ideal for Restaurants and Hotels Dishwasher, Freezer, Microwave and Oven safe Product guidance and care: The use of non-abrasive materials such as rubber or plastic utensils is recommended when removing excess food as metal utensils may cause lasting damage to glazed surfaces. Furthermore, it is not advised that you wash porcelain items with metal items (such as cutlery) in the dishwasher. 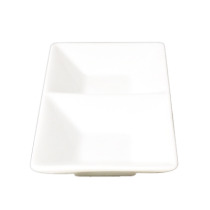 Our porcelain items are Dishwasher, Freezer, Microwave and Oven safe with a high resistance to chipping. What's more, although our Orion products are designed to withstand many pressures, please avoid where possible, sudden temperature changes (e.g. oven to freezer) as thermal shock may occur. Fully vitrified porcelain 20cm / 8" Conforms to BS4034:1990 specification Sold in multiples of 2 pieces Ideal for Restaurants and Hotels Dishwasher, Freezer, Microwave and Oven safe Product guidance and care: The use of non-abrasive materials such as rubber or plastic utensils is recommended when removing excess food as metal utensils may cause lasting damage to glazed surfaces. Furthermore, it is not advised that you wash porcelain items with metal items (such as cutlery) in the dishwasher. 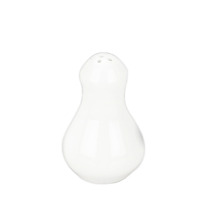 Our porcelain items are Dishwasher, Freezer, Microwave and Oven safe with a high resistance to chipping. What's more, although our Orion products are designed to withstand many pressures, please avoid where possible, sudden temperature changes (e.g. oven to freezer) as thermal shock may occur. Fully vitrified porcelain 26cm / 10" Conforms to BS4034:1990 specification Sold in multiples of 4 pieces Ideal for Restaurants and Hotels Dishwasher, Freezer, Microwave and Oven safe Product guidance and care: The use of non-abrasive materials such as rubber or plastic utensils is recommended when removing excess food as metal utensils may cause lasting damage to glazed surfaces. Furthermore, it is not advised that you wash porcelain items with metal items (such as cutlery) in the dishwasher. 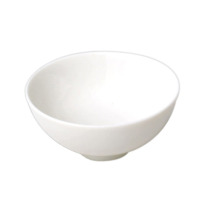 Our porcelain items are Dishwasher, Freezer, Microwave and Oven safe with a high resistance to chipping. What's more, although our Orion products are designed to withstand many pressures, please avoid where possible, sudden temperature changes (e.g. oven to freezer) as thermal shock may occur. Fully vitrified porcelain 20cm / 8" Conforms to BS4034:1990 specification Sold in multiples of 4 pieces Ideal for Restaurants and Hotels Dishwasher, Freezer, Microwave and Oven safe Product guidance and care: The use of non-abrasive materials such as rubber or plastic utensils is recommended when removing excess food as metal utensils may cause lasting damage to glazed surfaces. Furthermore, it is not advised that you wash porcelain items with metal items (such as cutlery) in the dishwasher. 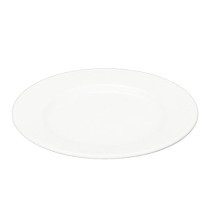 Our porcelain items are Dishwasher, Freezer, Microwave and Oven safe with a high resistance to chipping. What's more, although our Orion products are designed to withstand many pressures, please avoid where possible, sudden temperature changes (e.g. oven to freezer) as thermal shock may occur. Fully vitrified porcelain 14 x 8cm / 5½ x 3" Conforms to BS4034:1990 specification Sold in multiples of 6 pieces Ideal for Restaurants and Hotels Dishwasher, Freezer, Microwave and Oven safe Product guidance and care: The use of non-abrasive materials such as rubber or plastic utensils is recommended when removing excess food as metal utensils may cause lasting damage to glazed surfaces. Furthermore, it is not advised that you wash porcelain items with metal items (such as cutlery) in the dishwasher. 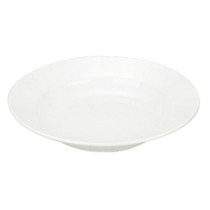 Our porcelain items are Dishwasher, Freezer, Microwave and Oven safe with a high resistance to chipping. What's more, although our Orion products are designed to withstand many pressures, please avoid where possible, sudden temperature changes (e.g. oven to freezer) as thermal shock may occur. 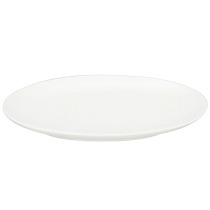 Fully vitrified porcelain 7cm / 3" Conforms to BS4034:1990 specification Sold in Dozens Minimum purchase of 6 packs Ideal for Restaurants and Hotels Dishwasher, Freezer, Microwave and Oven safe Product guidance and care: The use of non-abrasive materials such as rubber or plastic utensils is recommended when removing excess food as metal utensils may cause lasting damage to glazed surfaces. Furthermore, it is not advised that you wash porcelain items with metal items (such as cutlery) in the dishwasher. 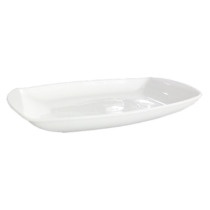 Our porcelain items are Dishwasher, Freezer, Microwave and Oven safe with a high resistance to chipping. What's more, although our Orion products are designed to withstand many pressures, please avoid where possible, sudden temperature changes (e.g. oven to freezer) as thermal shock may occur. Fully vitrified porcelain 7.5cm / 3" Conforms to BS4034:1990 specification Sold in multiples of 6 pieces Ideal for Restaurants and Hotels Dishwasher, Freezer, Microwave and Oven safe Product guidance and care: The use of non-abrasive materials such as rubber or plastic utensils is recommended when removing excess food as metal utensils may cause lasting damage to glazed surfaces. Furthermore, it is not advised that you wash porcelain items with metal items (such as cutlery) in the dishwasher. 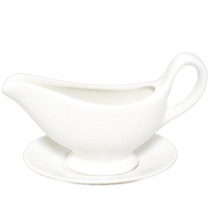 Our porcelain items are Dishwasher, Freezer, Microwave and Oven safe with a high resistance to chipping. What's more, although our Orion products are designed to withstand many pressures, please avoid where possible, sudden temperature changes (e.g. oven to freezer) as thermal shock may occur. Fully vitrified porcelain Conforms to BS4034:1990 specification Sold in multiples of 6 sets Ideal for Restaurants and Hotels Dishwasher, Freezer, Microwave and Oven safe Product guidance and care: The use of non-abrasive materials such as rubber or plastic utensils is recommended when removing excess food as metal utensils may cause lasting damage to glazed surfaces. Furthermore, it is not advised that you wash porcelain items with metal items (such as cutlery) in the dishwasher. 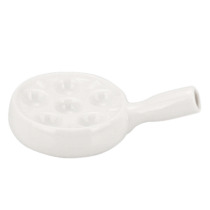 Our porcelain items are Dishwasher, Freezer, Microwave and Oven safe with a high resistance to chipping. What's more, although our Orion products are designed to withstand many pressures, please avoid where possible, sudden temperature changes (e.g. oven to freezer) as thermal shock may occur. 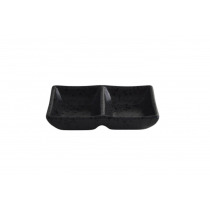 Fully vitrified porcelain 8.5cm / 3½" Conforms to BS4034:1990 specification Sold in multiples of 12 pieces Ideal for Restaurants and Hotels Dishwasher, Freezer, Microwave and Oven safe Product guidance and care: The use of non-abrasive materials such as rubber or plastic utensils is recommended when removing excess food as metal utensils may cause lasting damage to glazed surfaces. Furthermore, it is not advised that you wash porcelain items with metal items (such as cutlery) in the dishwasher. 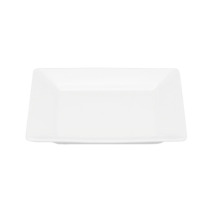 Our porcelain items are Dishwasher, Freezer, Microwave and Oven safe with a high resistance to chipping. What's more, although our Orion products are designed to withstand many pressures, please avoid where possible, sudden temperature changes (e.g. oven to freezer) as thermal shock may occur. Fully vitrified porcelain Conforms to BS4034:1990 specification Sold in multiples of 6 packs Ideal for Restaurants and Hotels Dishwasher, Freezer, Microwave and Oven safe Product guidance and care: The use of non-abrasive materials such as rubber or plastic utensils is recommended when removing excess food as metal utensils may cause lasting damage to glazed surfaces. Furthermore, it is not advised that you wash porcelain items with metal items (such as cutlery) in the dishwasher. 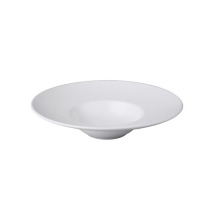 Our porcelain items are Dishwasher, Freezer, Microwave and Oven safe with a high resistance to chipping. What's more, although our Orion products are designed to withstand many pressures, please avoid where possible, sudden temperature changes (e.g. oven to freezer) as thermal shock may occur. 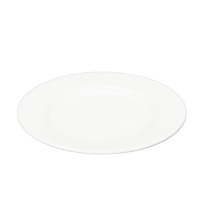 Fully vitrified porcelain 10.7cm / 4¼" Conforms to BS4034:1990 specification Ideal for Restaurants and Hotels Dishwasher, Freezer, Microwave and Oven safe Product guidance and care: The use of non-abrasive materials such as rubber or plastic utensils is recommended when removing excess food as metal utensils may cause lasting damage to glazed surfaces. Furthermore, it is not advised that you wash porcelain items with metal items (such as cutlery) in the dishwasher. 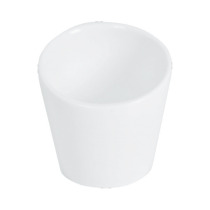 Our porcelain items are Dishwasher, Freezer, Microwave and Oven safe with a high resistance to chipping. What's more, although our Orion products are designed to withstand many pressures, please avoid where possible, sudden temperature changes (e.g. oven to freezer) as thermal shock may occur. Fully vitrified porcelain Conforms to BS4034:1990 specification Ideal for Restaurants and Hotels Dishwasher, Freezer, Microwave and Oven safe Product guidance and care: The use of non-abrasive materials such as rubber or plastic utensils is recommended when removing excess food as metal utensils may cause lasting damage to glazed surfaces. Furthermore, it is not advised that you wash porcelain items with metal items (such as cutlery) in the dishwasher. 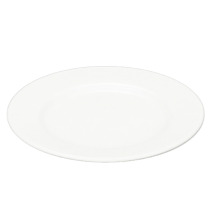 Our porcelain items are Dishwasher, Freezer, Microwave and Oven safe with a high resistance to chipping. What's more, although our Orion products are designed to withstand many pressures, please avoid where possible, sudden temperature changes (e.g. oven to freezer) as thermal shock may occur. 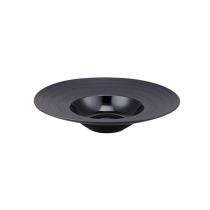 Fully vitrified porcelain Diameter 5cm Height 6.5cm Conforms to BS4034:1990 specification Ideal for Restaurants and Hotels Dishwasher, Freezer, Microwave and Oven safe Product guidance and care: The use of non-abrasive materials such as rubber or plastic utensils is recommended when removing excess food as metal utensils may cause lasting damage to glazed surfaces. Furthermore, it is not advised that you wash porcelain items with metal items (such as cutlery) in the dishwasher. 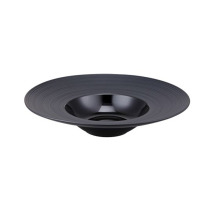 Our porcelain items are Dishwasher, Freezer, Microwave and Oven safe with a high resistance to chipping. What's more, although our Orion products are designed to withstand many pressures, please avoid where possible, sudden temperature changes (e.g. oven to freezer) as thermal shock may occur. Fully vitrified porcelain Capacity: 250ml Conforms to BS4034:1990 specification Ideal for Restaurants and Hotels Dishwasher, Freezer, Microwave and Oven safe Product guidance and care: The use of non-abrasive materials such as rubber or plastic utensils is recommended when removing excess food as metal utensils may cause lasting damage to glazed surfaces. Furthermore, it is not advised that you wash porcelain items with metal items (such as cutlery) in the dishwasher. 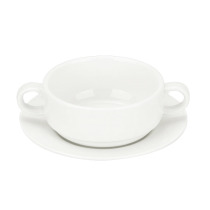 Our porcelain items are Dishwasher, Freezer, Microwave and Oven safe with a high resistance to chipping. What's more, although our Orion products are designed to withstand many pressures, please avoid where possible, sudden temperature changes (e.g. oven to freezer) as thermal shock may occur. Fully vitrified porcelain Capacity: 170ml Conforms to BS4034:1990 specification Ideal for Restaurants and Hotels Dishwasher, Freezer, Microwave and Oven safe Product guidance and care: The use of non-abrasive materials such as rubber or plastic utensils is recommended when removing excess food as metal utensils may cause lasting damage to glazed surfaces. Furthermore, it is not advised that you wash porcelain items with metal items (such as cutlery) in the dishwasher. Our porcelain items are Dishwasher, Freezer, Microwave and Oven safe with a high resistance to chipping. What's more, although our Orion products are designed to withstand many pressures, please avoid where possible, sudden temperature changes (e.g. oven to freezer) as thermal shock may occur.